India is vast country with different culture, class and income people. In India the people have less awareness about the child safety seats. The automobile sector is growing so is the population of India. The fertility rate in India is 2.6 per woman. It ranks second in terms of population but unfortunately the usage of child safety seat is negligible. It’s about time that the Indian vehicle safety guidelines which include child restraint system are aligned with international standards. It will result in slight escalation of cost but the safety aspects are far more important. No stringent law by the government- The government proposed to implement the child safety law w.e.f 01- April-2015 but the law was not implemented. According to this plan children less than 13 years of age has to be restrained in the child restraint systems. Also the government, from October 2014 made it mandatory for every car maker in India to equip its cars with provision for installing child seats. This new safety measure will allow the fitment of child seats in cars and allow drivers to safely transport their kids in cars. This move from the Indian government will make cars safer for children. But this law is not applicable in all the cars which mean that many car makers avoid equipping their cars with the mechanism required for the fitment of child seats. Car makers skimp of the child seat provision to cut corners as the Indian car market is very price sensitive. Less awareness among the people- The people in India are less aware about the benefits of the child safety seats. The people in India believe in show offs. They want to have big cars, will buy expensive clothes and things, will live in big houses but will not go for the child safety seats. Low education level- The literacy rate in India is 74.04% as of the year 2011. The number of literate people are increasing but the real number of educated people are still less. Most people in India have cars but they only know how to drive it the basic requirement for a child passenger they are unaware of. Emotional Quotient- The people in India are very emotional. They had a strong emotional bond with their children. They don’t want to leave their children especially small ones alone. So therefore they don’t prefer the child safety seats. They want to hold the children by themselves throughout the journey. Thus they are resistant to the idea of the safety seats. Proper guidance- The Indian people are quick learner, if provided proper guidance they will surely adopt the child safety seat for their children. This will promote the use of child safety seats. Enforcement of law by the government- The law for the child passenger safety should be enforced by the government. The government should make sure that the people should follow the guidelines for the child safety. Increase in the income level- India is a growing economy and the disposable income is also increasing the people in India has more money to spend. Therefore they can easily buy the child safety seats. Growth in E-retail- The trend of online retail in India has also acted as a boon for the child safety seat. In India the child safety seats are not manufactured but are sold online through Amazon, Flipkart, Babyoye and FirstCry. India imported 33.11 USD Million Child Safety Seat/Booster Seats in year 2015-16 . The domestic market is mainly dependent on imports as manufacturing activity in India is negligible. This presents a huge opportunity for Indian manufacturers who are already established in textile and seat manufacturing businesses. China is dominating global export in Child Safety Seat Market and in case of India it is no exception. China alone enjoys 72% share of total export to India. Along with USA (9%), Italy (2.19%). Malaysia (2.19%) and Canada (0.86%) respectively. After analysing we find that there is huge untapped market in India. Marketing is key in this product segment. Safety of an Infant is a very sensitive issue and it should be addressed by Government (Ministry of Women and Child Development and Ministry of Road Transport and Highways) and industry. Internet technologies are diminishing the boundaries and buyers are becoming more and more informed about products. 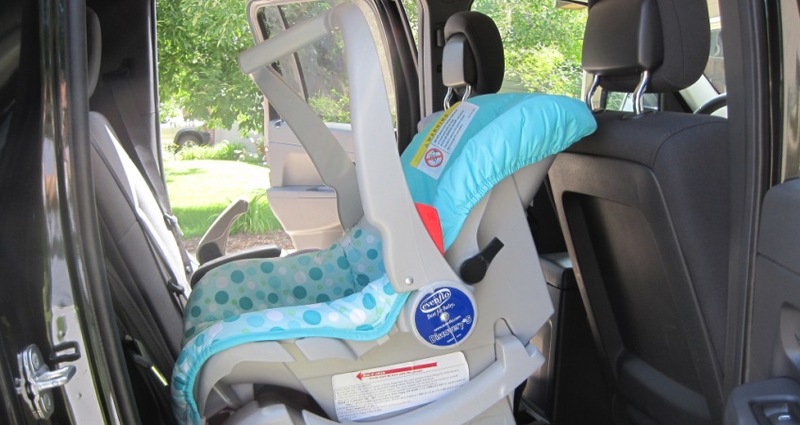 They can browse hundreds of Child Seat products available at online market places but how much they are informed about these products; this is the big question.